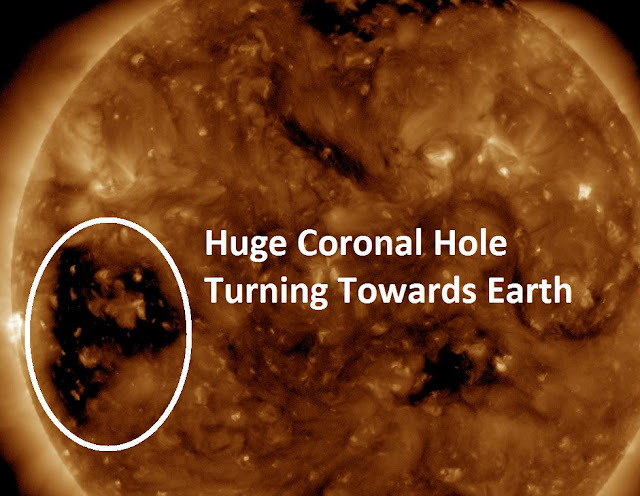 A large coronal hole in the sun's atmosphere and will swing into geoeffective position during the last week of March. Solar wind flowing from the hole is expected to strike our planet's magnetic field and spark G1- to G2-class geomagnetic storms on March 28-29. However, the absence of sunspots doesn’t mean no space weather to report as the new coronal hole will show.